The condition of our skin and hair is significantly determined by our dietary habits. Genetics play a part, but encouragingly, we can control our natural hair care and black skin care outcomes by paying attention to what our bodies need. The good news is that there is a strong dietary overlap between foods that promote beautiful skin and those that promote healthy hair. Our bodies are efficient machines � once we fuel them correctly, we generally see positive outcomes from head to toe. In general, you want to eat a high protein diet with plenty of good carbohydrates (e.g. 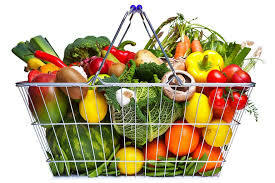 vegetables and some fruit) and avoid the bad carbohydrates (e.g. bread, white potatoes and sugar). Good skincare and natural hair care habits - from a dietary standpoint - do not differ significantly from any other group, but there are one or two tips that can benefit us in certain key areas of black skin care. Skin: The antioxidants in these leafy greens can help to neutralize damaging free radicals in skin cells and prevent loss of skin elasticity triggered by ultraviolet rays. Hair: Contains Vitamin B and iron, essential for healthy hair. Skin: Eggs are packed with protein. Protein provides excellent nutrition for the skin in the form of amino acids. Amino acids generate new proteins within your skin cells; some of these proteins - such as collagen and elastin - lend strength to your skin tissue, thus reducing the development of wrinkles. Skin: Full of lycopene which experts claim protects skin against harmful ultraviolet rays. Green and yellow peppers have also been found to decrease sensitivity to sun. Hair: Vitamins A, B, C and E in tomatoes help to promote strong hair. Skin: Provides the Vitamin C essential for the production of collagen. Not fond of berries, or are they unavailable/ expensive? Opt for cantaloupe, pears, plums, or oranges. Hair: Acai berries, in particular, contain magnesium, vitamins A, C, E and B, folic acid and zinc � all nutrients necessary for healthy hair growth. Zinc helps to keep your roots strong and your scalp healthy, which in turns helps minimize thinning hair. Skin: Great for dry skin. 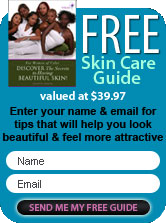 (Doctors report that African American patients suffer from dry body skin more than any other group. Also note that dry skin can signal the presence of health issues such as diabetes and kidney disease.) Oats contain compounds that help reduce inflammation to the skin, so they are particularly helpful in fighting acne. Beware the milk factor if eating oats as a hot cereal: milk can inflame acne in some acne sufferers. Hair: Toss some berries and nuts into your oatmeal and add an extra punch to your hair nutrition. Skin: Contain copper that boosts collagen production. Enjoy them natural and unsalted. Hair: Walnuts are an excellent source of potassium, omega-3, omega-6, and omega-9 fatty acids. All these ingredients strengthen the hair follicles. Skin: Superb for combating dryness. Rich in fiber, a quarter cup of sunflower seeds provides over 90% of your daily requirement of Vitamin E. Full of selenium and Vitamin C which fight premature skin aging. Soothes dermatitis and eczema. Throw a few seeds into yoghurt (a great skin firmer) or onto wholegrain sandwiches. Hair: A fantastic source of Vitamin B6 which, along with folate and riboflavin, helps form hemoglobin, needed for transporting oxygen to the scalp. Undisrupted supply of oxygen is crucial for healthy hair. Skin: These fatty fish are high in omega-3 that helps reduce skin inflammation and blocks the release of the collagen-eating enzymes which cause wrinkling and sagging. Hair: These types of fish are also loaded with vitamin D, protein, and zinc. These nutrients promote hair growth by keeping your scalp healthy. See also oysters for the same hair-building properties. Skin: Contains high levels of flavonols (a powerful antioxidant), plus zinc, iron, protein, magnesium � and even a few B Vitamins. Choose chocolate with at least 70% cacao/cocoa � but watch your portion size! Two or three ounces per week (or one small square from a bar, daily) is recommended. Be aware of the hugely negative effects that yo-yo dieting and crash dieting can have on your skin and hair. Crash dieting, in particular, forces the body to direct its energy towards the essential activities � heart and brain function - rather than the creation of healthy hair/skin. Avoid sugar/sugary drinks and foods � they are very bad for skin and hair. Sugar causes an increase in insulin levels which can lead to an increase in androgen (a male hormone) which in turn, leads to thinning hair. However, be wary of sugar substitutes: studies have shown that aspartame and agave, for example, create more health problems than they solve. Agave, in particular, packs more fructose than high fructose corn syrup � and causes wrinkles. So, love your body, give it the best fuel you can afford to give it � and see the wonderful results in your skin and hair!